With the recent discovery of star system Trappist-1, and seven potentially habitable planets, four of which have perfect characteristics to host life as we know it, astronomers say we are traveling into the unknown and the possibilities are endless. Shortly after astronomers made the announcement, Seth Shostak, senior astronomer at the SETI Institute has given his thought about Trappist-1, and what it may look like if it were home to an intelligent Alien civilization. 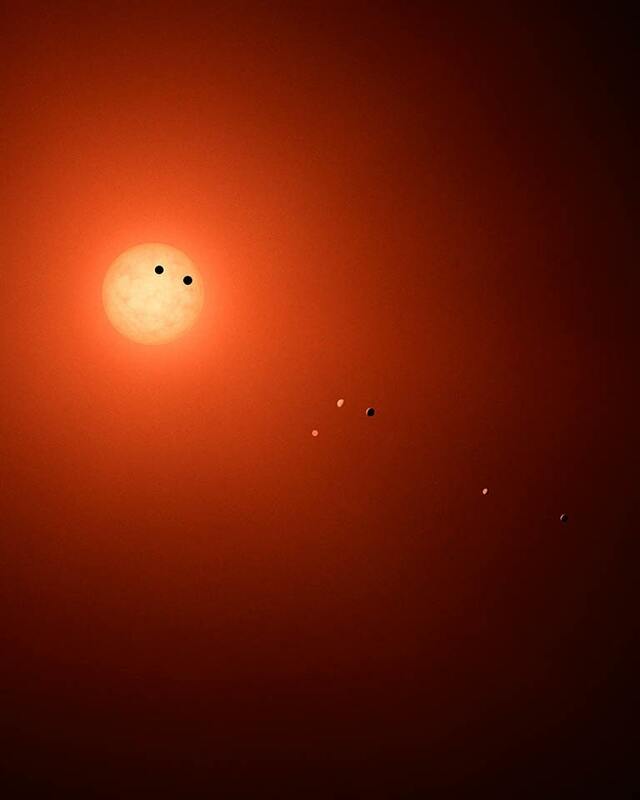 The planets orbiting Trappist-1 are eerily similar to Earth. All of the seven planet’s orbiting the ultra-cool dwarf star are approximately the size of Earth, and all of the orbit their sun close enough so that the surface temperatures on the planets are adequate in order for liquid water to exist on their surface. This graphic compares the distance of planets from the host star in the TRAPPIST-1 system and the solar system. “Remarkably, these planets are of a type that would make them candidates for hosting the dirty chemistry we call ‘life,’” wrote Seth Shostak in a blog post. While the discovery of Trappist-1—and 7 Earth-like planets—is beyond fascinating, there’s still no way of us knowing whether or not there is advanced life—or any life at all—on the planets orbiting Trappist-1. 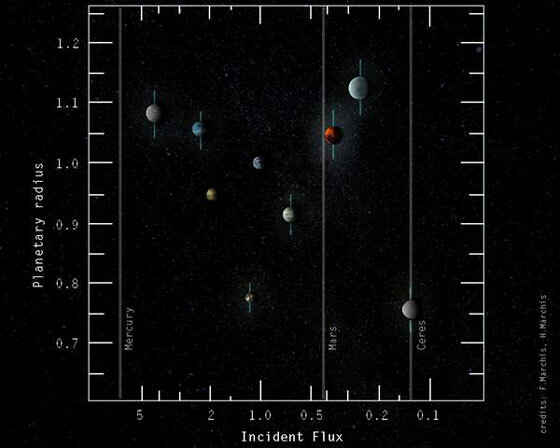 Astronomers are still not sure what the atmosphere or geology is like on the planets. We still don’t know if there are signs of life on the surface, and it will take a lot of research and study before we find out. Interestingly, in 2016, the SETI institute used its Allen Telescope Array to search for signals from Trappist-1, but astronomers didn’t find anything. However, in the near future astronomers will monitor the star system and there is still hope that something will show up. However, if these is life on the planets orbiting Trappist-1, and if the life has evolved enough, there’s a chance that a civilization from the Trappis-1 system may have a multi-planet federation say, astronomers. Due to the fact that the planets orbiting Trappist-1 are located close to one another, an advanced alien civilization may have expanded their empire across the entire star system. In our solar system, humans are yet to land on our neighboring planets with Mars being the number one candidate. 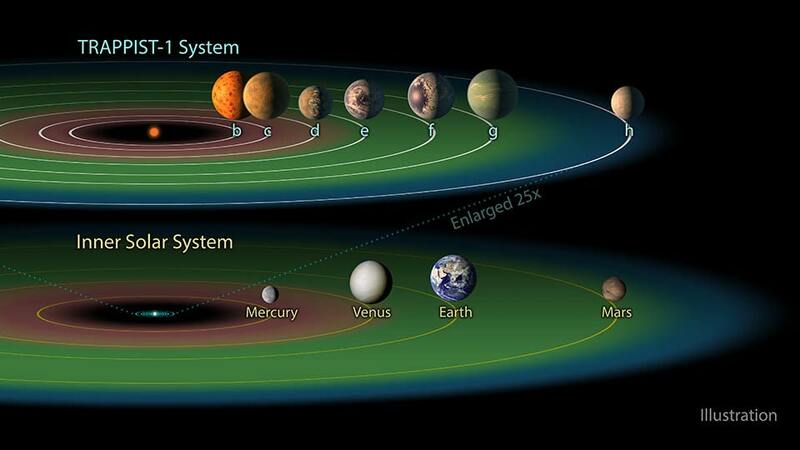 “In addition, the opportunities for life in the Trappist 1 system make our own solar system look fourth-rate. Life might not spring up on all seven of these worlds, but if just one of them spawned biology, collisions with small asteroids could spread that infection to the other worlds in short order. And if even a single planet eventually produced technically competent beings, that species could quickly disperse its kind to all the rest,” added Shostak. Reference: A Nearby Galactic Empire?